Class led by Shauna Nyrose and Chelsea Ray. 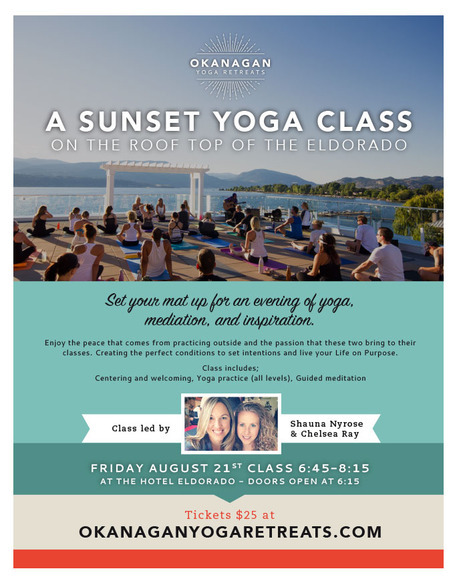 Set your mat up for an evening of yoga, mediation, and inspiration; all the on the rooftop of the Eldorado. Enjoy the peace that comes from practicing outside and the passion that these two bring to their classes. Creating the perfect conditions to set intentions and live your Life on Purpose.